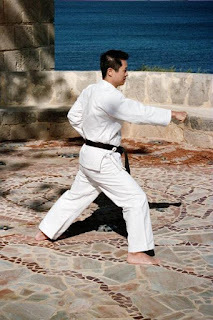 This is a revisit of an old post Taekwondo Hyung: Won-hyo Step 27 and 28 as Over the Shoulder Throw published August 3 2008. Thought I'd search for some images to see the flow of the Over the Shoulder Throw or Judo's Seoinage but specifically for hard stylists. 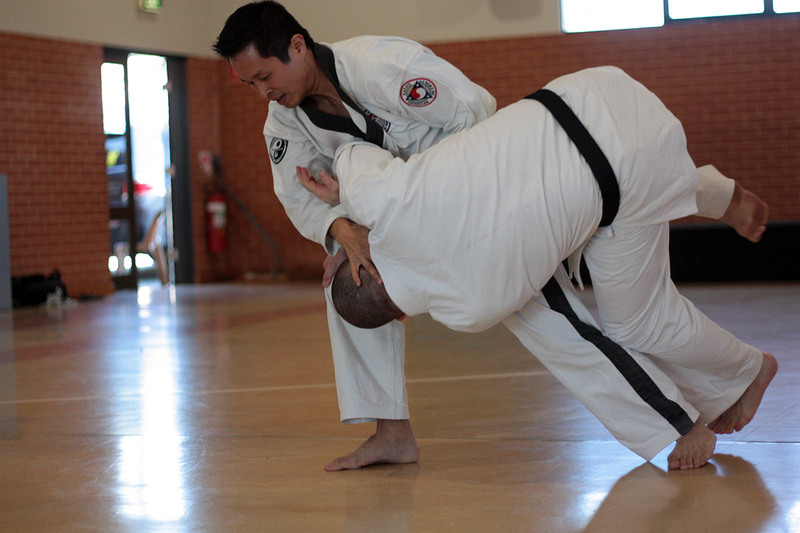 Beginning with the standard Judo grip, first you drive into the non-compliant opponent pushing him backward with your forward momentum. The opponent may stumble back or seek to push toward you. The setup requires you to 'punch' the opponent and driving him forward with the right arm, whilst pulling back with your left ... not necessarily too far, but you're setting him up and confusing him so that it makes your throw easier. This is where your Tsurite or 'lifting hand' is going to lift up the opponent's elbow similar to the 'Haiwan Uke' or the high level double forearm block in Won-hyo. Kuzushi - or unbalancing the attacker. 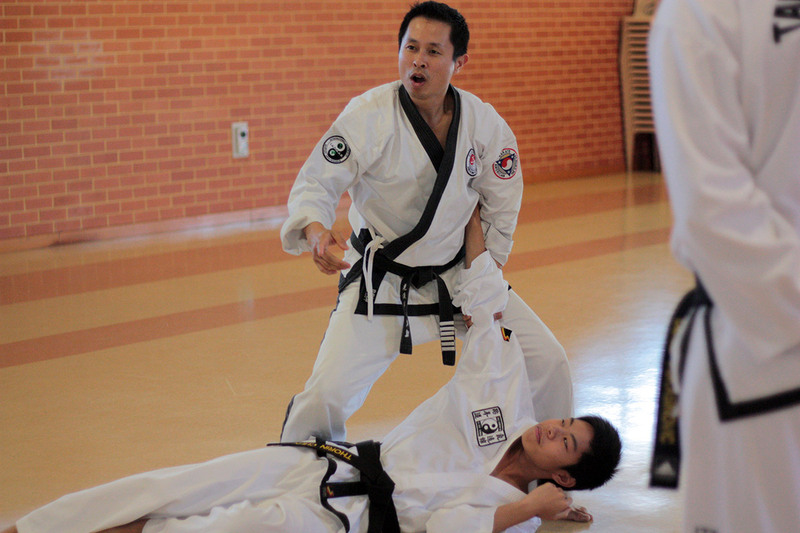 In the above photo, kuzushi is done by lifting the arm and dragging it forward. The net effect should be that the opponent is pushed back, and then while his arm is lifted, he is forcefully jerked forward. So you begin the throw by driving forward into the opponent - then you switch your legs and then throw him by driving him forward over your hip. Don't forget to get your hips lower or 'under' his hips, so that there's an obstacle under his centre of gravity. 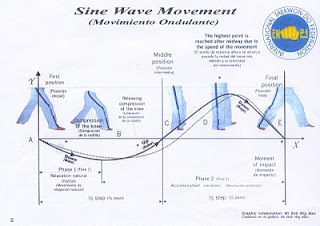 Thanks to Soo Shim Kwan, we can describe this down up down motion using Taekwondo's Sine Wave. You go down to get your hips under, you push up to throw him over, and then when he lands, you again drop, driving your knees into the lump laying on the floor. See that end position? That's NOT what I'm talking about. What I'd like to see is the thrower (the Tori) with back straight up, and knees driven into the guy's ribs or head. 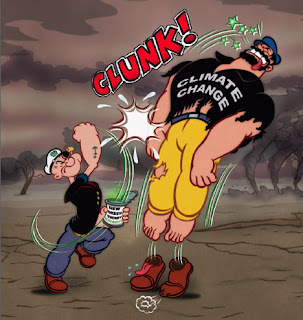 If you ever find yourself bent over like this guy, make sure to protect yourself against the opponent's leg - he's going to want to kick you in the chops for throwing him on the floor. 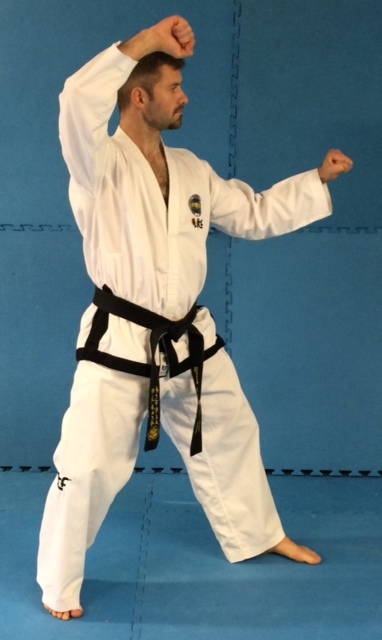 In the end you're holding the opponent up and you shift your hands to a 'Teacup Saucer' or koshi gamae 'hip preparatory' stance controlling his wrist. 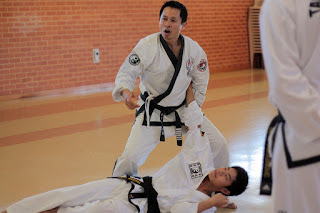 This extends the opponent's arm and if you so desire, you can drop down into a kneeling position which will hyperextend his elbow over your knee. Too easy! Thanks for the link Colin. Yes, I find "driving your knees into the lump laying on the floor" to be particularly effective too! It's my favourite way of tidying things up.